PS: I find the DeviantArt categoy system so confusing. @ - @ I hope it's in the right spot? .....anyways like I said looks great. Yeah nice work here. how do you do this so perfectly? that's better than anything i could ever do! Absolutely gorgeous!!! Do you sell your art?! I would love to buy the eevee collection! the simple style you put these in makes the image so serene!! I never know it was possible but... you made the shipping better! Is it alright if my friend and I use this as a cosplay reference? This is so pretty! 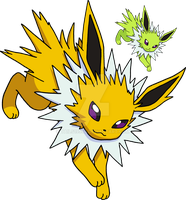 I love all of your eeveelution pictures!!! They're so pretty and creative! i reaaaaally love your artwork! more please!